An End To Super-Cheap Home Loans? HSBC have taken the symbolic step of ending its record-low 0.99% two year fixed rate mortgage deal, as the bank raised rates across its portfolio of home loan products – the move has left many industry analysts asking whether this ‘turning point’ marks the end of super cheap home loans? 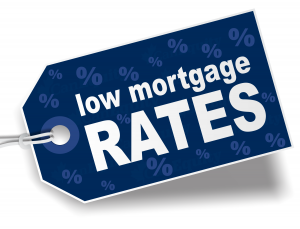 Since the Bank of England cut the base rate from 0.5% to 0.25% in August, the move had been for lower home loan rates, however, banks claim the cost of funding has increased over the past two months, which is now reflected in HSBC’s pricing review. Despite the news this week, home owners should remember that some excellent deals remain available and now is certainly the perfect time to be talking to us about securing a low-rate deal for early in the New Year. Here at The Financial Planning Group, we are able to secure a mortgage deal six months ahead of your current deal ending, which makes it possible for our clients to reserve the best rates – regardless of what the market does in that period. As impartial independent financial advisers we can help you in making the right choice.